The Art & Art History department welcomes students, faculty, staff, friends, family, and all those interested in the sure-to-amaze critique presentations of our MFA candidates. The students will be presenting their thesis proposals for our Interdisciplinary Arts & Media and Interdisciplinary Book & Paper programs. 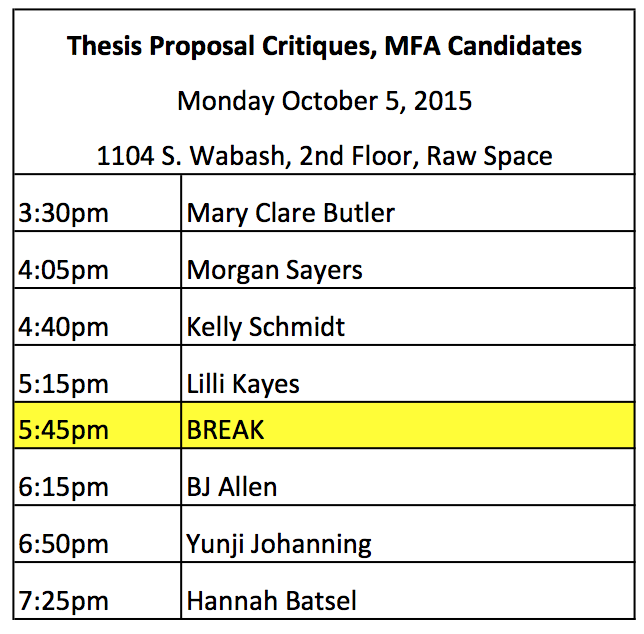 The critiques will be in the Raw Space of 1104 S. Wabash (2nd floor, in the back of the building, walk through the Lesley Dill exhibit). Bring coffee, a notebook, and your sharp minds!